Oil drilling is one of the most complex fields due to the peculiar environmental conditions to be faced by the seal. Huge downtime costs are the fee to be paid in case of breakdown or failure of a sealing element. In oil drilling plants, depending on the different possible positions, one can find harsh mixtures of hydrocarbons even sulfonated, superheated steam, H2S, CO2, Methane, amine based corrosion inhibitors, temperatures well below 0°C and over 200°C, high pressure. 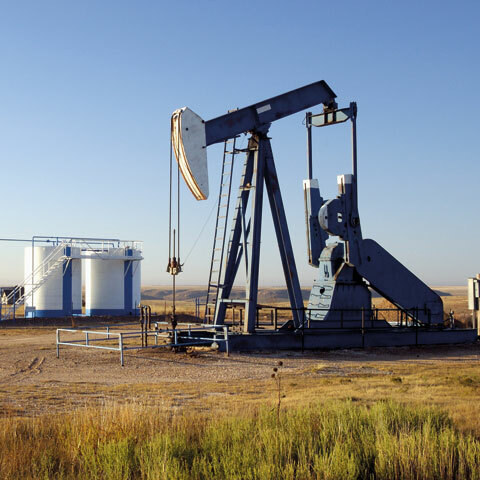 We have a long time experience in solving all kinds of difficult sealing problems inside the Oil & Gas sector. Ball valves - Gate valves - Butterfly valves - Regulating valves - Plug valves - Seat valves - Check valves - Metering valves - Control valves - Valve actuators – BOP - Couplings for flexible pipes - Xmas trees - Drill drives - Marine cranes. MCM S.p.A. has a wide range of O-Ring/ rubber gasket and standard PTFE based seals in dimension up to ø 2.300 mm (ø 90”). Maximum thermal rating (+240°C), excellent resistance against hydrocarbons also aromatic, good physical properties, limited resistance to steam and H2S (max 2000 ppm). Special compounds for explosive decompression (AED). Excellent thermal rating (+220°C), special grades for low temperatures, good resistance to bases, limited resistance to H2S. Special compounds for explosive decompression (AED). Excellent thermal rating (+230°C),outstanding resistance against bases and H2S ( up to 30%), limited resistance to hydrocarbons and aromatic substances, limited low temperature flexibility. Special compounds for explosive decompression (AED). Outstanding thermal rating (+330°C), outstanding resistance towards aggressive chemicals, acids, organic and inorganic fluids, ketones, esters, solvents, amines, hot water and steam. Special compounds for explosive decompression (AED). Maximum physical properties, good thermal rating (+160°C), good steam and H2S ( max 5000 ppm) resistance, limited resistance to aromatic hydrocarbons. Special compounds for explosive decompression (AED).